Building a new home in Queensland requires that you give attention to environmental house design ideas and techniques. The current regulations in the region require your home meet a 5-star energy rating. From your own standpoint you should endeavor to increase it to an even higher energy efficiency to have money on fuel needs in the future. Remember, the five 5-Star energy rating is not a recommendation it is a requirement which will be verified by inspectors. This list is just a good guideline for getting started and should be used for discussion points with the person providing your house design services. 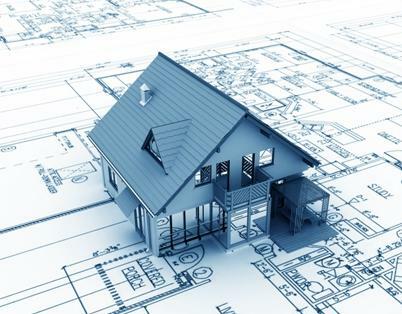 During new home design and construction is the ideal opportunity to incorporate ideas which cut your energy requirements and lead to a healthier home. The easiest and most cost effective items to start with are natural lighting and passive solar heating. This can take the form of strategically placed windows and skylights. When the house is properly designed you maintain natural lighting in the home from early in the morning until the sun sets at night. These same windows can aid in heating your home on colder days, or control the heating factors with tinting and shading systems. The cost of adding a few correctly placed windows is very small compared to the long term savings in electricity and comfort. 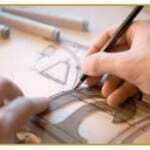 Talk to the company providing your drafting services on what they recommend for the highest efficiency. When you heat or cool your home the biggest challenge is preventing the escape of your climate controlled air. To increase the energy efficiency of your home requires carefully selecting the highest quality insulation and the proper building materials. Would you spend an extra thousand dollars today to save five thousand over the next three years? It is surprising how often people take the cheapest route on insulation of use less expensive building materials to cut their immediate costs without realizing the long-term effects of that decision. Drafting Concepts Pty Ltd is a drafting services company which believes it is important to teach and inform their clients about critical decisions like these. Your cost of ownership can be greatly affected by decisions being made today and the easiest or cheapest path is not always the best decision. You can contact the team at Drafting Concepts and listen to their ideas on how to increase efficiency to decrease cost of ownership. Have you dreamed of owning a home sitting on top of a hill for an amazing view? There is a factor you might not have considered. When your home is exposed on top of a hill or fully exposed on another type of site, you increase the effects of the sun, wind, and rain on your home. This added exposure can pour increased heat into your home during the hottest months of the year increasing your cooling bills. This exposure can be put to an advantage, too. By implementing solar panels and wind generators into your new house design you can offset the added exposure and most times end up with surplus energy and efficiencies. It comes down to understanding your site and implementing strategies to utilize the site to your favor. When you sit down with a draftsman at Drafting Concepts bring along photos of your building site. 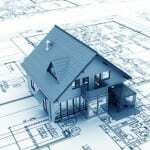 This can help when you begin your discussion of an environmental house design for your new home. They can guide you with ideas which can easily be implemented. There are two sides to water conservation in new house design. You must consider how to reduce your usage while still enjoying your home. You should consider how to capture water for your own use. Reducing your water usage can include simple items like low flow showerheads, low flush toilets, using aerators on faucets, choosing high efficiency dishwashers and washing machines for clothes. These few items can cut your water usage in almost half. The second element, capturing water, takes a little more thought and planning. Ask the draftsman of your house design services whether it makes sense to implement water storage tanks for capture rainwater for use in watering your yard, washing cars, and other uses. This will depend highly on the normal rainfall in your area and the ease of implementing a system. Your environmental house design needs to include items you will be putting in your home, too. By spending slightly more you can have more efficient heating systems, air conditioners, appliances, and lighting systems. When you total the extra costs of these items you might feel a bit intimidated, but you must then do the second set of figures. How much money will these higher efficiency items save you in electrical costs? You may discover it takes only two to three years to recover the added cost and then each year after that you are saving money. It is back to the previous comment about making wise decisions today to cut your long-term costs of ownership. To get the most efficient home possible requires working with a company who has experience in environmental house design. Ask the companies you talk to about the types of homes they have worked on in the past. 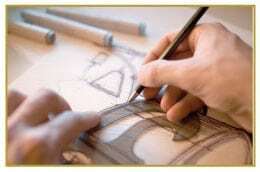 One company with great experience is Drafting Concepts Pty Ltd in Brisbane. 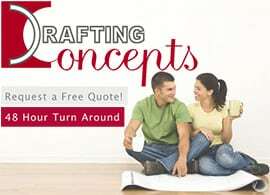 You can get a free drafting quote by contacting them.